An ideal skincare starter gift box for men with a duo of cleansing and hydrating treatment for fresh and invigorated skin.Kama Ayurveda face care gift box is a beautiful, woody and earthy scented duo of skincare products for men. Regular use of this regime gives softer, fresh and even toned skin. Explore the entire range of Gift Sets available on Nykaa. 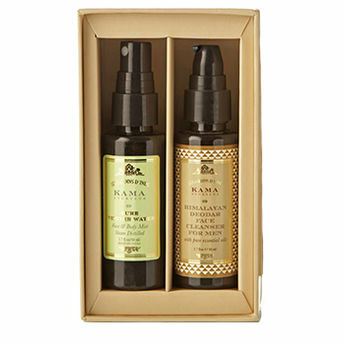 Shop more Kama Ayurveda products here.You can browse through the complete world of Kama Ayurveda Gift Sets .